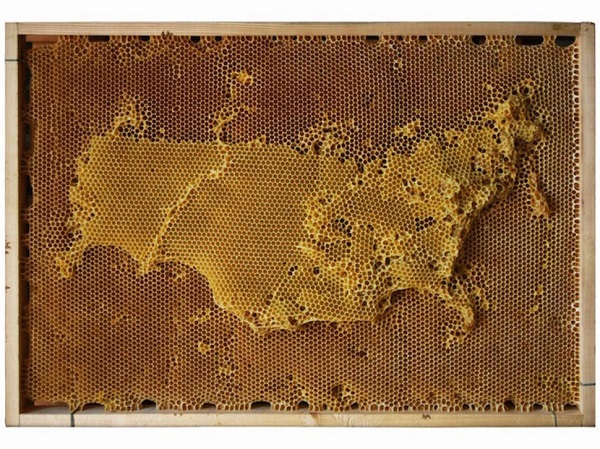 Chinese artist Ren Ri creates intricate honeycomb maps from beehives in his scultpure series “Yuansu I: The Origin of Geometry”. 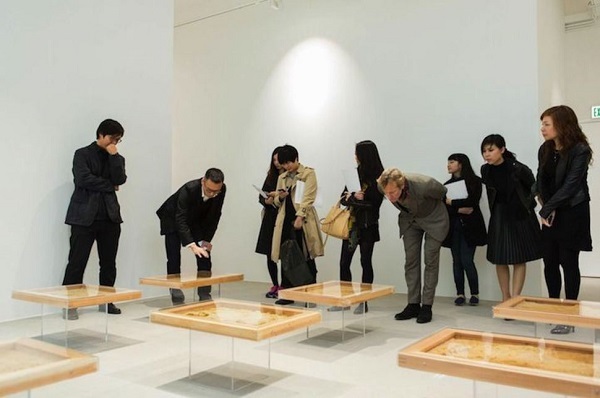 Roughly translated, it means “a comprehension of the gestalt of life”. 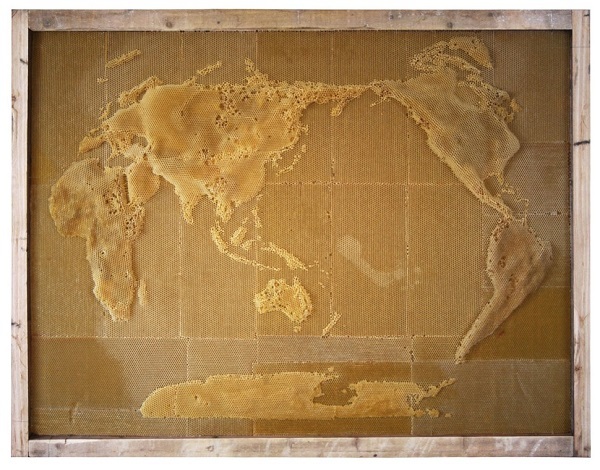 The beeswax sculpture is a result of Ri's beekeeping hobby, which he picked up in 2006. 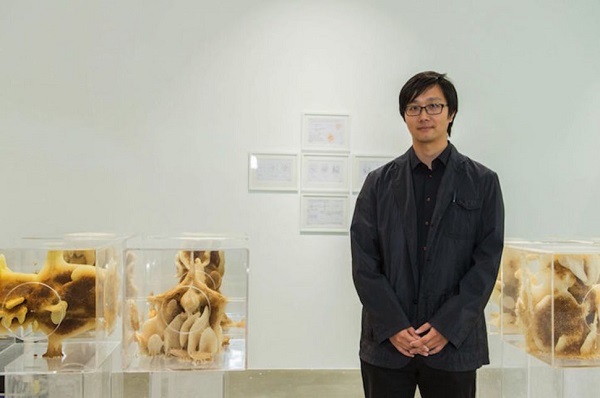 According to Ri, his sculptures show the harmony and destruction when humans interact with nature, that can produce unpredictable and wonderful results. 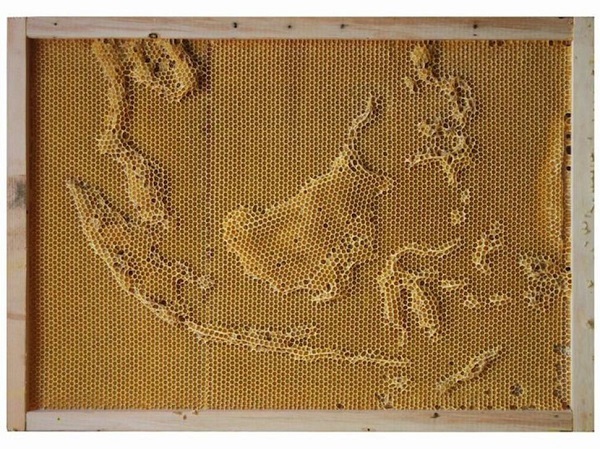 The large honeycomb map is on exhibit at Hong Kong's Pearl Lam Gallery, together with his other artwork, a series of incredible geometrical sculptures created by manipulating the behavior of the bees. 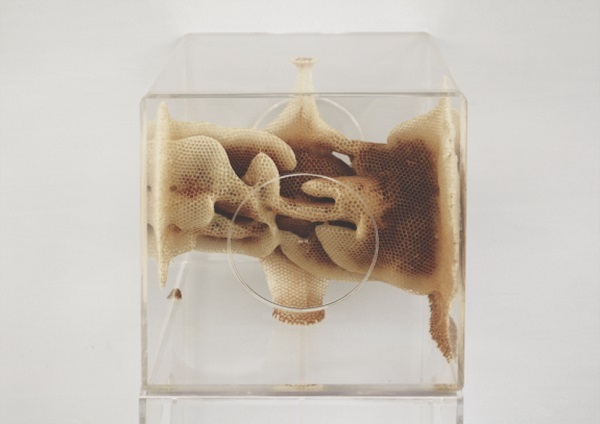 Ri explains that he places a queen bee in the middle of a box and and changes the box's position every seven days (a reference to the seven days of creation). 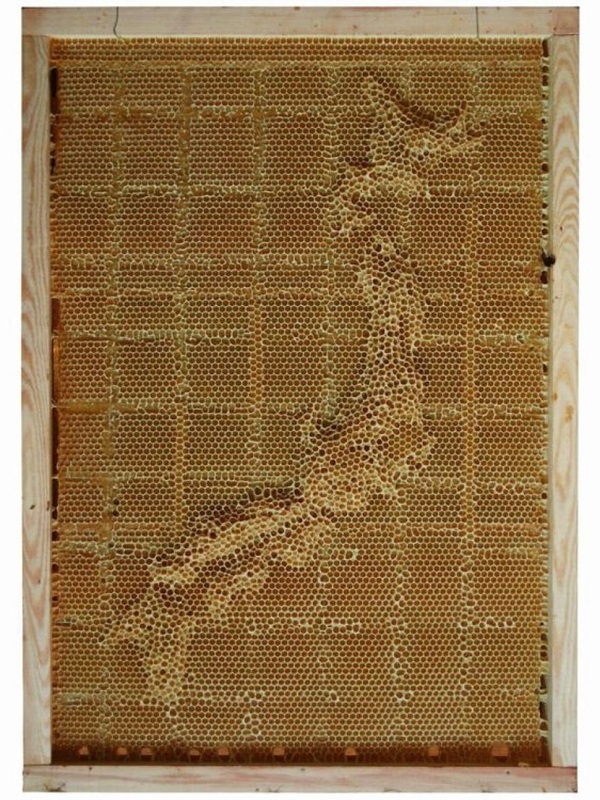 The worker bees will start to build natural beehives around the queen bee, resulting in the creation of amazing living structures. 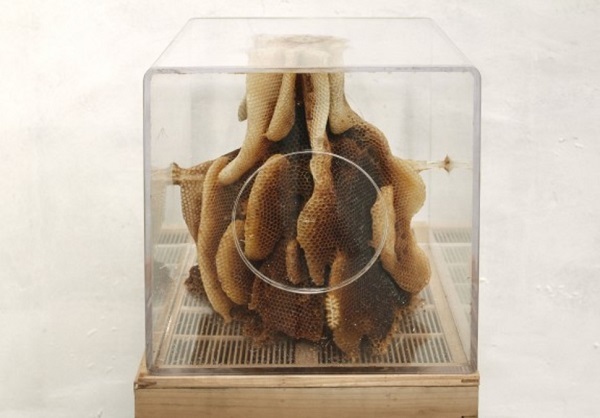 Scroll down to view the amazing honeycomb structures, or find out more here.